The Equality and Human Rights Commission has written to the Government stating that its first gender pay gap investigations will begin in June. A letter from EHRC CEO Rebecca Hilsenrath to Nicky Morgan, chair of the Treasury select committee, also confirms that the EHRC will name and shame any employers that reach the investigation stage. Which were the sectors with the smallest gender pay gap? 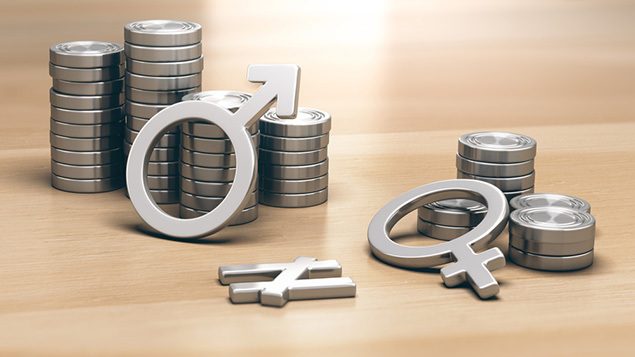 Shortly before the gender pay gap reporting deadline of 4 April for private sector employers, the equalities body warned companies that they could face an investigation or fine if they were required to but failed to publish their data. It has since revealed that around 1,500 companies missed the deadline. The EHRC’s letter states that its enforcement process commenced on 9 April, when it wrote to all employers “whom the Government Equalities Office believe to be in scope of the regulations, but who had not reported their pay gap data”. These employers were given 28 days to comply, or face further action. More than 400 have since either reported their data or confirmed that they do not come under the regulations, which apply to organisations with more than 250 employees. The letter continues: “The next stage for private sector employers will be an investigation under section 20 of the Equality Act 2006, in which we establish whether an employer has committed an unlawful act. The EHRC adds that it will publish a final report setting out its conclusions at the end of these investigations, which will be published on its website “where it will be available to members of the public and the media”. Its first tranche of investigations should commence at the beginning of June, the letter stated. Kerri Constable, associate director from RSM Employer Services, said this naming and shaming could pose a risk of reputational damage for companies that don’t comply. “Clearly, the EHRC is not wasting any time in launching investigations into any private sector companies that it suspects of being in breach of the new rules. Swift action will need to be taken by affected companies if they wish to avoid being publicly named,” she said.